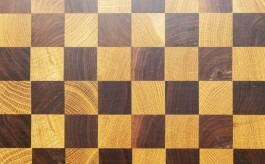 Greenlam Industries is all set to unveil its new designs of laminates under its flagship brand – Greenlam Laminates. The new range includes over 12 collections according to the desires of today’s customers. Greenlam Industries, one among the top three laminate manufacturers in the world is all set to unveil 58 new designs of laminates and 3 new textures under its flagship brand-Greenlam Laminates. The new range features 12 collections including HD Gloss, Designer Collection, Super Gloss, Synchro, Stucco, Stone Collection, Textile Nuovo, Naturalle, Smoked, Olmo, Wood Horizontal, Woodgrain and Pearlescent. The new range is meant to give consumers full flexibility to enhance the look of their houses through creative interiors. According to Saurabh Mittal, MD and CEO, Greenlam Industries Ltd.India said, “The new range responds to the needs emerging from today’s evolving lifestyles and the desires of customers. Making design selections easier for our customers, we have developed a new collection which reflects these values and brings the most elegant designs to the Indian market. Our newest additions to the Greenlam collections reflect the extensive research into the latest trends in the interior industry. This has inspired us to bring the best home.” Parul Mittal, Director – Marketing and Design added, “At Greenlam we always try and give the best to our patrons, keeping that in mind, our collection has been inspired from the look and feel of the most aesthetic natural and abstract looks and the latest in design trends in the Industry.” ‘Greenlam Laminates’ brand is a recognised name within surfacing products in more than 100 countries. With over two decades of experience in the industry of decorative laminates, the brand is expanding its retail footprint in the country. 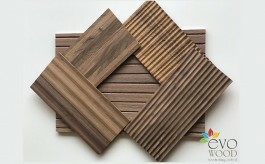 It is more appreciated for manufacturing of decorative veneers, decorative laminate, doors, wooden flooring and MFC.